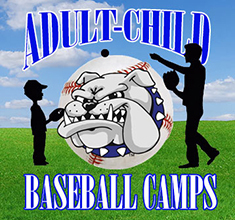 SOUTH HOLLAND, IL–The South Suburban College Baseball Program and Head Coach Steve Ruzich will be conducting Adult-Child Baseball Camps February 15th through 17th for boys and girls ages 6 through 14. The Camps will feature sessions for pitching, catching, hitting and fielding while providing adults and children the opportunity to improve their knowledge of baseball skills and techniques. Kids will be given expert instruction and time to practice and improve their skills through a variety of station drills. Adults will be taught how to use effective teaching methods, provide instruction using proper skill techniques, and utilize effective drills. Ruzich has coached the SSC Baseball Program for the past 32 years and has accrued over 1,000 wins with a winning percentage over 63%. Not only has he enjoyed success as a college coach and player, he has also established himself as a reputable youth baseball camp director around the state. In addition to Ruzich’s instruction, SSC baseball players will be on hand to help the campers develop and improve their skills. The players’ enthusiasm and expertise always adds to the camp’s success. Each player should wear gym shoes and workout attire, and bring their own equipment. Adults should dress casual and wear gym shoes. The cost is $45 for one adult and one child per camp, and $40 per camp if enrolled in more than one. The cost is $30 for each additional child. Checks should be made payable to South Suburban College Baseball. The camps are located at Bulldog Field on SSC’s Main Campus at 15800 South State Street, South Holland, IL. For more information or to register, contact Coach Ruzich at (708) 225-5843, or email sruzich@ssc.edu.